Excitement, happiness, joyfulness that was the feeling of the two girls, Lorna Marenene and Thembela Gibson after they found out that they won two tickets each for the Janet Jackson concert in Grand West. Lorna and Thembela were entered on Janet Jackson 20 under 20 years old extraordinary people competition where Janet Jackson planed on meeting, honouring, and recognising up to 20 young people under the age of 20 for their extraordinary contributions to their local communities in each city she visits. Lorna and Thembela were selected to be part of this group because of their extraordinary contribution to their school life, IkamvaYouth and their community, Makhaza. Lorna is a self-motivated and conscientious person and always willing to get involved. She organised, highly motivated to accept responsibility. Lorna joined IkamvaYouth in 2010, since then she has shown extreme commitment to the homework and tutoring sessions, and her academic marks have improved dramatically through this commitment. The commitment that Lorna shows in the organisation, indicate how she love being part of the community development. Besides her academic success, she is learner representative at the Makhaza Branch of IkamvaYouth in 2010 and 2011 and part of the Branch Committee. This involved her in the decision-making processes of IkamvaYouth and fostered her natural leadership skills. Thembela is someone who always willing to learn get involve and not afraid of the new challenges. 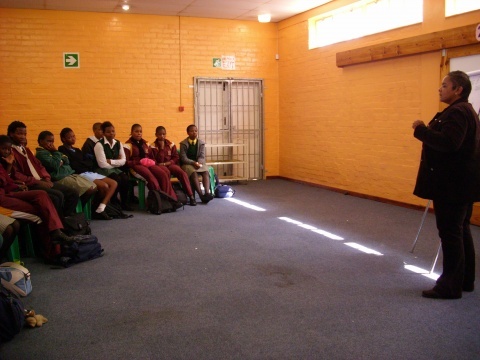 She always believes that a change can be done especial when it comes to South African education. Being a leader is what motivates her, because it’s not about leading the group of people but being the role model of that particular group you leading. She has been involved in the IkamvaYouth programme at the beginning of this year. Ever since she joins the programme, her extra ordinary working being part of the program not only motivates the tutors but also the learners of the organisation. 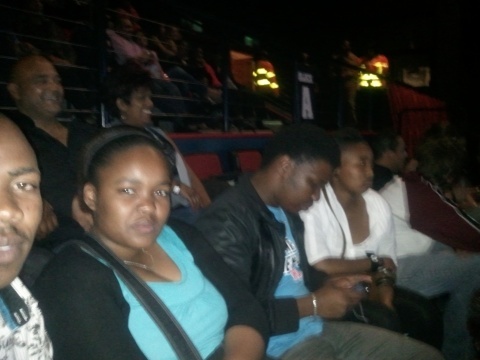 The concert took place at Grandwest arena. The tickets that the girls won also allowed then to meet and greet Janet Jackson at the backstage. The girls got the opportunity to greet and take a photo with Janet Jackson. “For the first time in my life I watched an international singer live on stage” Lorna said. Thembela said if it wasn’t for IkamvaYouth she would never got such an opportunity. Khan academy is an online learning tool created by Salman Khan in the United States (www.khanacademy.org). While it provides educational content for a variety of subjects, its primary focus is mathematics. Put simply, when a learner “does” Khan Academy, they work their way through a series of exercise modules, beginning with the simplest problems in math, like 2 + 5, and progressing until the learners are working on algebra, trigonometry, and even calculus problems. The idea behind Khan Academy is that when a learner reaches a module covering material they find difficult or have not encountered before, they can watch a video that teaches them how to do it. In this way, they can effectively self-learn their way through the entire school curriculum. 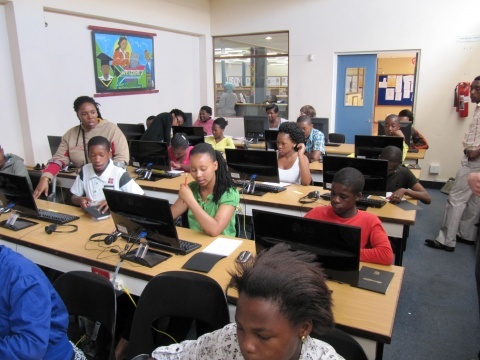 A couple of months ago, I approached Liesel Bakker – the branch coordinator at Ikamva Youth, Makhaza – to see whether we might pilot Khan Academy with some of their learners. Ikamva Youth, as I rapidly discovered, is a “can-do” kind of place. 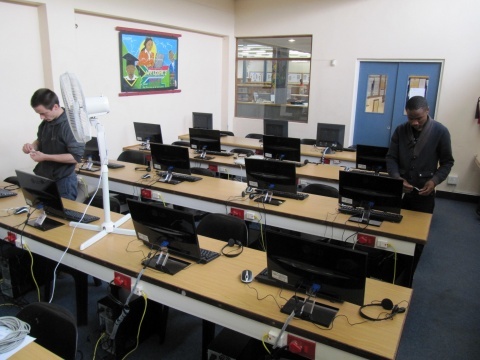 Within weeks we had a computer lab installed, and today we are five weeks into the pilot. A special thanks to Liesel, Zukile, Thembi and Joy for providing the learners, the space, and the necessary support to make this happen; to David and Elaine Potter for your generous sponsorship and encouragement; to the US Embassy for contributing towards the lab upgrade; and last but not least, to the coaches – Unathi, Yanga, Mandise, and Bekho – for your continued commitment to, and enthusiasm for, the project. And lest I leave out our most important participants, congratulations to our pioneering grade nines who have steadfastly stuck with the program and blown us away with their mathematical ability. 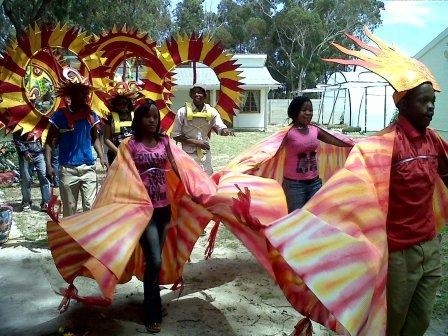 Our Masiphumelele students have been invited to participate to the eMzantsi Carnival. The theme, this year, is focused on sustainable development. All of the costumes have been made from recycled materials. 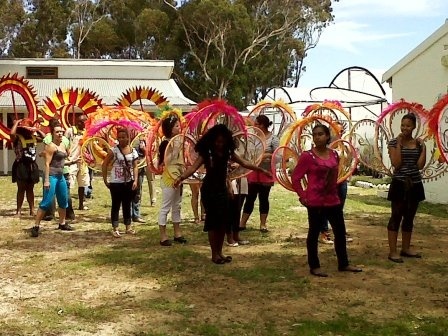 Youth will parade with 800 other young people from all over the South Peninsula Communities. It will be a time to celebrate our cultural diversities. The Nyanganites experienced a day not to be forgotten, after hearing about the facts of drug abuse and a talk from Delcia, a recovered addict who spoke about her addiction and how she got help and stopped using. 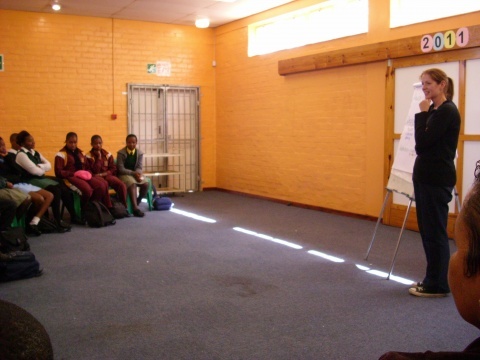 The learners have shared how badly drugs have messed up their families and communities. Nyanga is notorious for its drug abuse and alcohol abuse and we are faced with learners dropping out of school due to this problem. 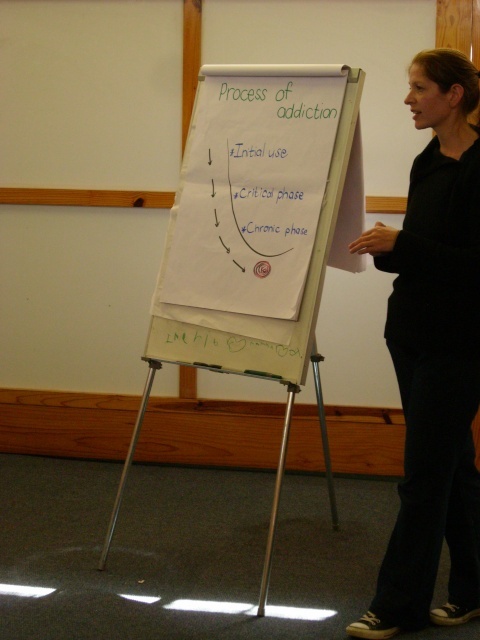 We have learners who have brothers and sisters highly addicted to drugs and this workshop helped us as staff and tutors to understand better what help we can give to the learners affected by drug abuse. A big Thank You goes to Call The Rain for running the workshop for us. Call The Rain is an organisation that specialises in storytelling. In their workshops, people share personal stories. The hope is that people will hear the message in the story and consider changing. Call the Rain is clear that they can never make the change for others; that is peoples’ own decision. Thanks to Sabrina for making sure our Life Skills workshops are going well.